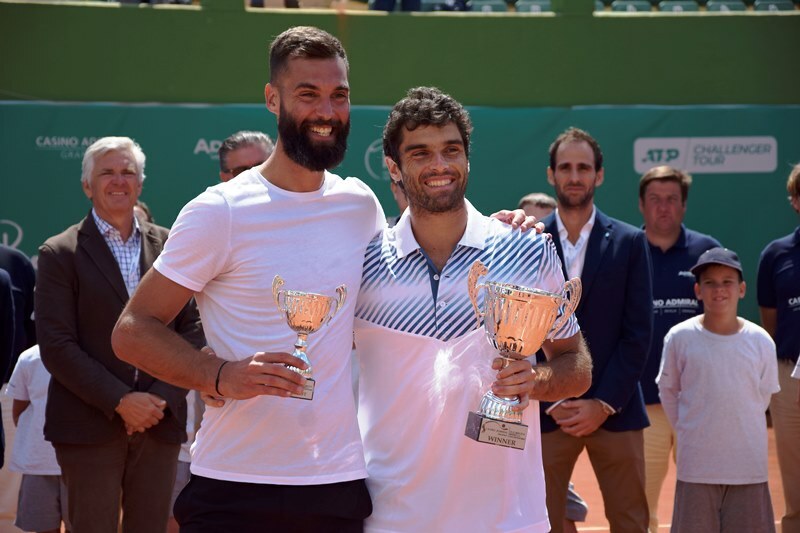 Pablo Andújar raises the Casino Admiral trophy after the final in the central court of the Tennis Club of the Puente Romano Hotel in Marbella. Vibrant tennis day in the central court Manolo Santana of the Tennis Club of Puente Romano. The duel between the first two seeds of the series Benoit Paire (1) vs Pablo Andújar (2) has been an authentic exhibition of high level tennis. Paire started the match, setting the pace for the veteran Andújar who did not feel comfortable on the court and missed the first set dominated by the Frenchman. The second set was not better for the Spanish who came to lose by 2 games to 5 and a match ball in favor of Paire. Everything seemed lost for the Spanish but he finally won the game in a historic comeback. “Even I do not know how I did it, without a doubt, we must also congratulate Benoit because he has made a great match,” Andújar declared at the end of the confrontation. This is the first victory that the Spanish achieves against Paire with whom he has faced up three times: Conde de Godó (2013), Masters 1000 of Paris (2012), and Tournament of Belgrade (2012). The grand finale of this second edition of Casino Admiral Trophy ATP Challenger was attended by prominent personalities in the world of sports, especially tennis: the president of the Royal Spanish Tennis Federation, Miguel Díaz, and the former tennis player and General Secretary Manolo Santana. Casino Admiral Trophy ATP Challenger closes an intense week of tennis during which fans have enjoyed great games. In its second edition, the Marbella tournament brought together the best national and international tennis rackets. Among them, three players included in the Top 100, two former Top 10 and nine former TOP 50. The presence of sixteen national players has also been outstanding, with special mention of the locals Alejandro Davidovich and Adrián Menéndez. The one from Cala del Moral demonstrated brilliant performance until Andújar stopped his aspirations in the semifinals. On his part, Menéndez resisted the challenger for the second year and did not overcome his first match against the Italian Brancaccio. For three days at the end of the matches, the VIP tent installed next to the central court has become an unmissable meeting point where one could enjoy performances based on a different musical genre every night. On Thursday, there was a great evening of opera with the Tribute to Montserrat Caballé starring the daughter of the great voice of the lyric, Montse Martí Caballé. The second evening was dedicated to flamenco with the rhythm of Manolito by Gypsy Kings, and the third and last night the dance floor was filled with excited guests at the show of the legendary group Boney M.
The second edition of Casino Admiral Trophy had the support of prominent public and private entities committed to sport and its values. 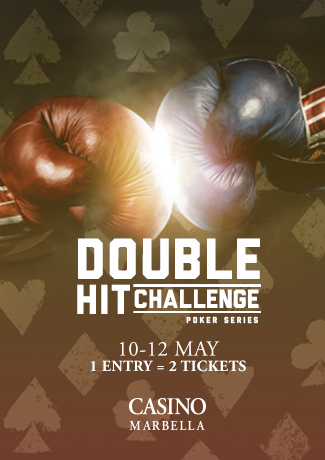 The list is headed by the main sponsor, Casino Admiral, followed by Zagaleta, Royal Spanish Tennis Federation, Mapfre, Red Bull, Puente Romano Hotel, Anytech365, and Marbella Town Hall. Casino Admiral Trophy is an initiative of the Champ AG company, with over thirty years of experience offering personal services to the best athletes and specializing in the organization of sport events, including several Davis Cups and different ATP Tours. 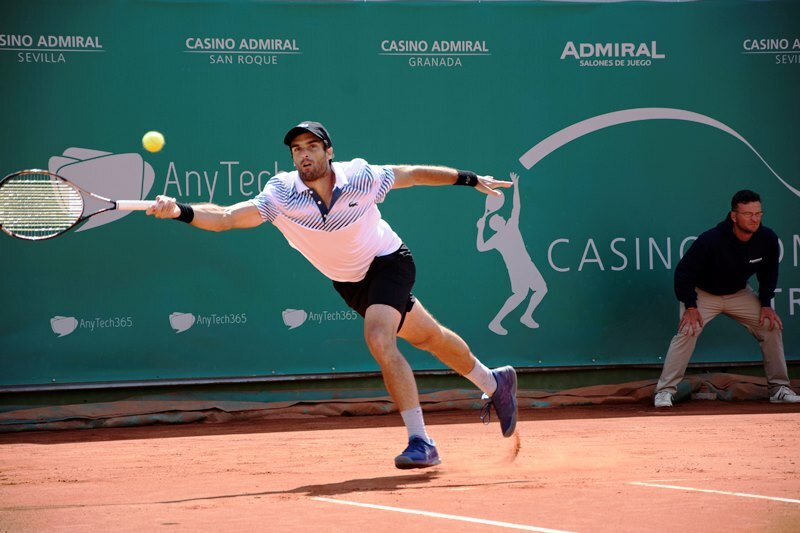 Casino Admiral Trophy is part of the ATP Challenger tournaments supported by the Royal Spanish Tennis Federation (RFET) with the intention that young talents can compete and add circuit points without leaving Spain.